Welcome to The Old Olive Mill. 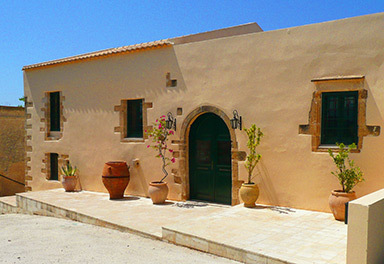 The Old Olive Mill is now celebrating 18 years of providing a truly unique holiday for the discerning traveller. 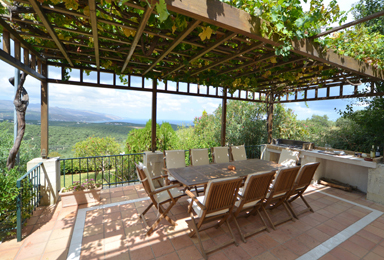 The Mill is a privately owned 4 Bedroom Villa situated on the North West coast on the island of Crete. This exclusive vacation property can sleep 10 people, and has its own private pool. 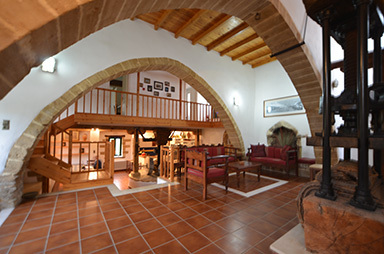 Only 25 minutes from the town of Hania, and 40 minutes from Hania airport, The Mill is nevertheless secluded from the bustle of the resorts. The Mill offers exceptional accommodation in a beautifully restored Venetian building, combining 21st Century comfort with the original olive mill features. Surrounded by stunning sea and mountain views, guests will experience a real feeling of having ‘got away from it all‘. Representatives. I offer the support of Paul and Jo, my local English speaking representatives, who have both lived in Crete for many years and live locally to The Mill, and are on hand to offer help and advice, and, unless otherwise agreed, will provide you with your 'welcome hamper', and meet you on your arrival at The Mill. Servicing. Cleaning services and a change of bath towels and bed linen are provided twice a week.